The Lemon oil has astringent and purifying properties, working to fight blemishes on oily skin. An oil designed to treat skin impurities, helping to prevent the formation of blemishes often found on impure skin. It is formulated with precious essential oils from organic farming: Melaleuca alternifolia, commonly known as Tea Tree oil, and Citrus Fruit essential oils. Use directly on skin blemishes or add a few drops to your regular creams. An oil designed to treat skin impurities. 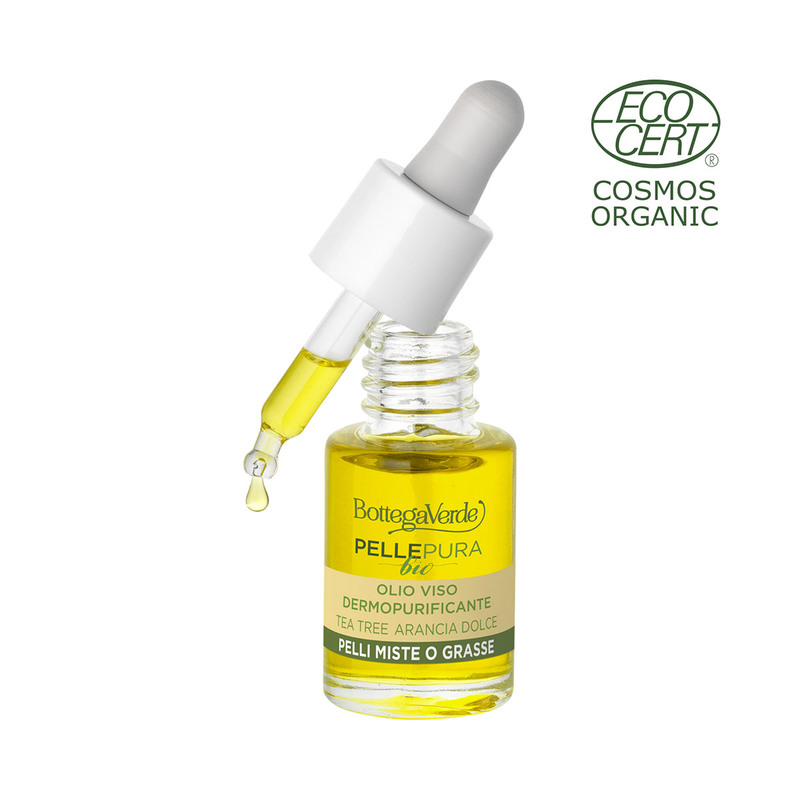 It is formulated with precious essential oils from organic farming. Direction for use:Apply two or three drops to a small cotton pad and rub in, dabbing directly onto blemishes. Repeat in the morning and the evening on clean skin. Add a few drops to your regular creams just before use. Avoid applying to delicate areas or the area around your eyes. Characteristic:Choose it if you want a product that contains no silicones, mineral oils or colourings.